A good management in an organization can be achieved through provision of relevant and sufficient information (Bradley, 2008). The aim of information technology in a business is to increase productivity of a business. 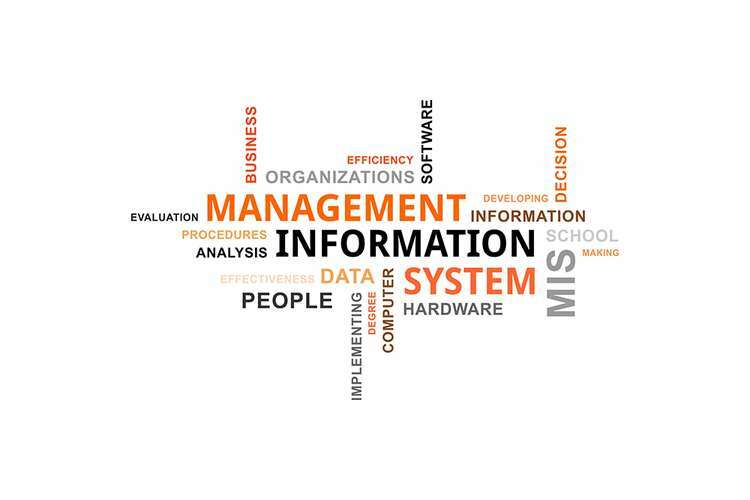 Management information system (MIS) is an information management system that organizations use to organize, coordinate, visualize, control, and make decisions. Therefore, management information system entails the examination of technology and people in any given organization (Mahmud, Ramayah & Kurnia, 2017). The sole aim of the management information system is to increase the profitability of an organization through increased customer satisfaction, employee satisfaction, and high levels of service delivery. According to Babaei, Gholami & Altafi (2015), different organizations use different management information system technology to meet their specific objectives based on their defined organizational structure and culture. In this case, I will use Enterprise resource planning (ERP) to integrate specific organizational functions like marketing, finance, production, human resource management, and marketing. ERP is a computer assisted business management that a whole business in an MIS platform. ERP system play a critical role in an organization where it increases management effectiveness, through the provision of a planning and monitoring process that organizations require. As an IT manager, I will establish pertinent analysis framework-based policies for managing IT function in the organization of my scenario, as I can clearly demonstrate the rational of establishing them. I am the manager of IT department of School where I provide various services like arrangement of smart classes, online fee payment system, keeping records of students profile, keeping records of staff, academic performances, keeping records of books in Library, online attendance, managed Computer Labs and also provide online activities to the students. My department’s aim is to make planning, organizing and managing things via the use of computers in school easier. The IT department of the School will integrate all functionalities of the school into a single software frame. Therefore, I will use ERP to achieve this goal in the school an in the long run increase productivity and service delivery of the rest of the departments in the school. ERP implementation has been considered for the school purpose as it has capability to create and store data in large databases. It will allow allocating resources within the school in an appropriate manner. Moreover, a single integrated system will allow possibility to analyse overall resources and system functioning in an easy manner. In the recent past, large organizations and corporation have continuously been shifting their business application software from manual system to installing and licensing large commercial software like ERP. However, for organizations to achieve the best results out of ERP, a good framework-based policies need to be put in place to. The framework based policies comprises of maintenance and upgrade of the ERP systems. Maintenance activities of ERP system originate from the organization that uses ERP and the vendor (Das & Dayal, 2016). Organization-based maintenance involves requests for bug fixing, enhancement, helpdesk, and ongoing system support. On the other hand, vendor based maintenance comprises of a support package or that contains corrections and further adjustment that result from legal changes data dictionary enhancement, and correction of minor errors for the installed version. Also, upgrade version of the software contains new functionality and substantial enhancements. ERP plays a core role in the improvement of business operations in organizations and therefore need thorough maintenance to ensure that its functionality is optimal and the intended function of the software is achieved (Kretser, Ogden, Colombi & Hartman, 2016). In this case, the ERP vendor will provide main types of the ERP maintenance activities which comprise of legal change patches (LPCs) and support package for installed versions and provide new versions of ERP system when upgrading is needed. The vendor will be supplying the support package and new version upgrades and the school will implement the systems through the IT department headed by the IT manager with or without assistance from consultants sourced externally in order to enhance existing functionality, fix bug, and add new functions to the installed system. There exists a difference between LCPs or support packages with the upgraded versions of ERP. LCPs have less impact on the installed ERP code while new upgrades overwrite the initially installed versions. Also, LCPs are frequently introduced unlike new upgrades which take some time. Moreover, LCPs are mandatory while new upgrade is not mandatory as long as the initial version supports the schools activities (Mahmud et al., 2017). Besides, new versions are expensive and complex to install while LCP only require minimal adjustment. Lastly, new upgrades will provide new functionality to the system. It is also important to note that the level, rate, and frequency of maintenance will be determined by the schools changing requirements and the willingness of the school to adjust to the new system (Monk & Wagner, 2013). Therefore, to get the best out of maintenance and upgrade, sufficient impact analysis will be conducted to determine the impact a new version will have to the school to ensure that all the basics are met. The first modification that will be done during the implementation of the system is the first maintenance that the system will undergo. The ERP vendor will be replacing the installed versions with new versions that are already in the market as part of the post implementation activities. The vendor will upgrade the ERP to realize substantial new functionality, new business opportunities, and new technologies (Bansal, 2013). On the other hand, the school may be compelled to upgrade when the vendor withdraws their support on the old versions. ERP vendors have a fixed period over which they provide maintenance after which the clients are to maintain their systems. When new versions will be implemented, it means that staff will be re-trained (Eason, 2014). This process is usually extensive and required expertise and knowledge which may not be available internally hence requiring the client to outsource. Upgrade cost comprises of costs associated with system analysis, testing, data conversion, and post implementation challenge or system disruptions. The cost of upgrade are based on the complexity of upgraded projects determined by number of business units involved and number of modules to be implemented. Business operations in the school faced a lot of setbacks due to the manual system of operations. During the manual operation, the school faced a lot of inadequacies that ERP came in to solve them in a number of ways (Shaul & Tauber, 2013). First, ERP integrates a web-based invoicing, service order, and a system of submitting payments. Through ERP, third party contractors can easily enter their service order into the ERP system of the company via web at a faster and an easier rate without necessarily going physically to the company. Moreover, the monthly contractors’ summarized invoices can be fed and generated automatically using the ERP’s application for processing payable information. Besides, the ERP system has helped companies to ease and fasten the repair and maintenance of their operations. The components of the extended ERP include extra components that are majorly concerned by external operations in organizations. Effective use of these information will can help the school make sound decisions and information support. Also, they would be in the position to manage all issues concerned with customer relationship and boost customer loyalty, increase the profitability in the school, and boost customer retention through proper customer management. Moreover, the extension of this type of information is essential to handle the information between all supplies and operations to maximize profitability and effectiveness of the supply chain. Most of the traditions ERP components are centered to internal operation; however, the extended ERP is mainly centered on the external operations (Babaei, Gholami & Altafi, 2015). This information is useful to the school because it can use it to conduct businesses in the internet and enhance its collaboration with customers and partners through E-business. Supply chain management (SCM) is concerned with information flow between stages of supply chain to maximize profitability and effectiveness in an organization. On the other hand, Customer relationship management involves management of all customer relationship aspects with a given company with an aim of increasing loyalty, retention, and attaining profitability of the given company (Ngai, Law & Wat, 2008). CRM allows organization to have an understanding of customers purchase behavior for the development and implementation of effective strategies to exploit the customer behavior. Besides, Enterprise resource planning (ERP) is concerned with integrations of all components of a company into a single IT entity or a set of integrated IT entities. This helps workers in decision making through viewing an enterprise from an angle of different operations. Therefore, integration of these three systems in the school will increase the profitability and effectiveness of the company because it will have the required and proper technologies for customer satisfaction improvement, inventory management, and improvement of business practices both internal and external because of easy and efficient information sharing. The step taken to train the school’s personnel on the ERP system was an important thing it proved to instill the mechanic and raise awareness among the workers concerning the package that the new system came with, through the trainings, the school personnel will learn the functions, abilities, and generally how they could utilize the ERP system (Kallunki, Laitinen & Silvola, 2011). The issue that third party contractors could input the information on their own for the invoice to be prepared will save the school a lot of minutes. Above all, proper personnel training helped the personnel to process information on a timely manner which increased efficiency and made the company organized. When the school will opt to go for another different ERP system, I will advise that they should ensure that the system apart from integrating various organizational should be flexible, comprehensive, modular open, and beyond the company. This is because a flexible ERP system can easily respond to the changing needs of the company hence increase its productivity. Also, a modular open system will supports multiple hardware platforms for companies with a group of heterogeneous systems and supports third-party add-on components. These components are essential for the school because they will ensure proper communication with the contractors and customers. Likewise, a comprehensive system is essential because it ensures that variety operations of a company are supported hence an important factor Shell should consider when going for a new ERP system (Monk & Wagner, 2013). Finally, the new ERP system that the school should go for needs to be beyond its boundary. The reason is that a system that is confined to the boundaries of the organization limits participation and communication with partners, customers, and contractors. Information management systems are a vital component of today’s organisations. Through MIS, organisations have been able to integrate their operations with ERP which has helped them unleash their potential. ERP would help increase efficiency of the school operations and service delivery. However, to achieve best results, maintenance and upgrade of the ERP system is vital.